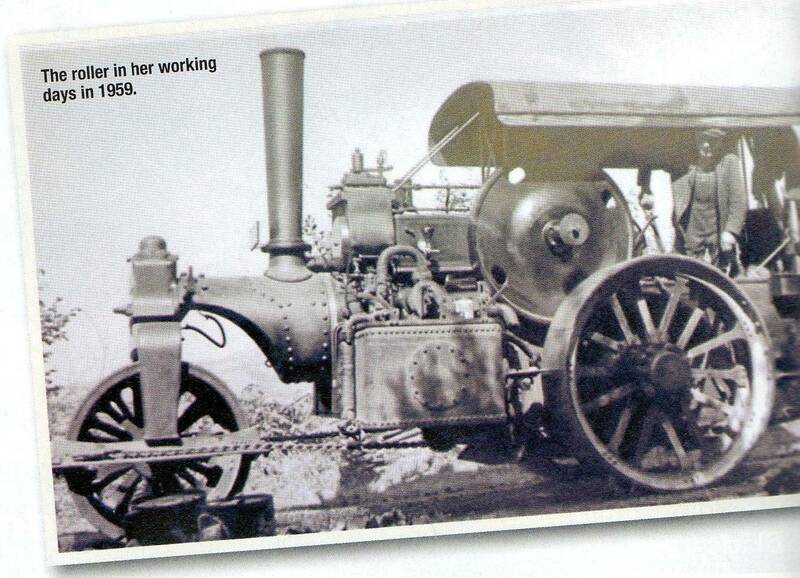 Do you have any memories of the old steam rollers? I can remember finding one parked up at some road works on a rainy night when walking home from school. The workmen had gone, so I lifted the canvas screen and clambered in to the cosy cab. I warmed myself by the glowing embers still in the firebox as I thrilled to the idea of what it would be like to drive it. Many of these rollers were made by Fowlers of Leeds who invented and manufactured the steam plough. Thanks to the incredible dedication and skills of a succession of enthusiasts the very last roller that Fowlers made (in 1937) is again in beautiful working order. This roller spent all its working life in and around Pencader. The roller still bears the original owners nameplate. 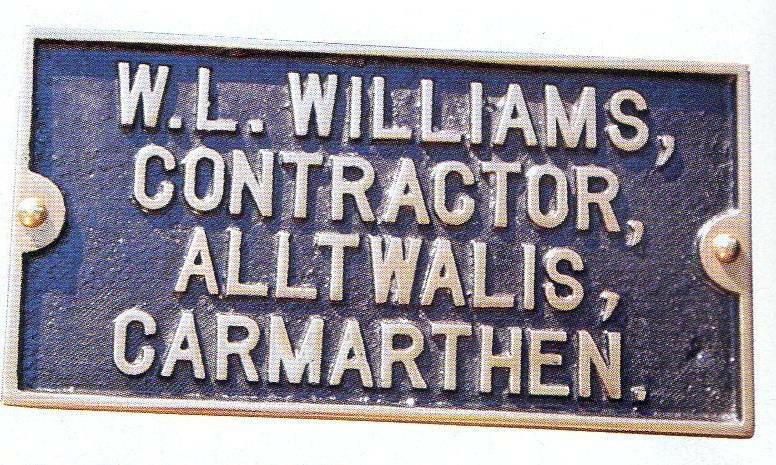 Does anyone know any more about this Mr WL Williams? If this gentleman or family members are still here and have memories or photos to share we would love to hear from you. This machine was 6nhp compound DNB Class roller No 22596. It was far more than just a roller. In fact it was known as a complete road making machine as it had a two-tined ‘Invincible’ scarifier, a tar tank, pumps and a chipping hopper which was towed behind the roller. This latest restoration has been completed by the current owner, Paul Woods of St Ives, Cornwall. In 1962 the ‘Evening Star’, as the roller is now called, was destined for scrap. Apparently it was only by chance that a friend of Mr Williams saw it and recommended that he should keep or sell it. This he subsequently did by advertising it in Model Engineer magazine. You can read more about its long history of restoration by many gallant owners in the July edition of OLD GLORY (Issue 269) where it is featured on the cover. As the current owner I have in my possesion many photographs and letter from Mr Williams to different people. I also have the original logbook and Mr Williams’s own service notebooks. I will try to put a few things together and forward them to you. There is another full article in the July issue of Vintage Spirit magazine with the engine sat with two other local rollers. Please contact me for any other details. Thank you for the response, I am of course interested in any further information that you may have available. I am wondering if you will be taking part in the special ‘Roller displays’ at The Dorset steam fair this year, I will be there for 7 days and will seek you out. Hello there folks. I actually saw this steam roller doing it’s work along the stretch of road at the post office. Maybe 1936/7 and I too was thrilled to watch it working. I did meet one of the workmen, and possibly the operator named Mr Gwyther. In those days most of the rural roads were covered by chippings. I was looking at the picture of the school house where I spent many moments with my mother, and looked with surprise as the window facing the playground was by me at least the dreaded place. It was used as the dentist surgery, and when we were given the dreaded pink form —well we were not very happy. The headmaster in my time there was a Mr Davies, a superb teacher, but very strict. Yes I attended the school starting at the infants and I think her name was Miss Davies, and lived at the bottom of the hill on the left, in a row of 5 or 6 houses. Moving on to Miss Thomas (of cloth hall) a house opposite the old Albion shop. Then to yet another Miss Thomas, and eventually to the top class of Mr Davies’s. There we sat the entry exams for Llandysul County School. We had the usual school photographs, and somewhere I have a picture of myself at age 10 I think. Not a pretty sight. I also remember two evacuees from Liverpool, but they were brother and sister. I befriended the brother and my sisters took to the girl. They lived on a farm half way along the Dolgran road, where I spent many a Saturday working and playing, happy days. I think his name was Clive Davies, and a really pleasant person. We got on very well, and I was introduced to lessons in artistic skilled football. My dad was a very brave person. He rescued a dog down a pit shaft, and awarded a bravery medal, and I remember a foolish but equally brave rescue during the huge floods in 1935?. All the area around the post office was in deep water. In the field between the road and the railway embankment poultry and a fox were kept in pens. Dad swam out to release them to freedom, but for the life of me I do not know what happened to the fox. In this flooding and vicious storm, the wooden railway bridge was destroyed and eventually replaced with an iron one. Sorry if I waffle on but I write as I think of theses memories. Maybe of no consequence but a treasure of flashbacks for me. Wilfred Williams was my great uncle. He owned this Fowler road roller. He lived at Derlwyn College Altwallis with his wife we knew as Nan. I can remember driving this roller at the County of Salop steam engine show at Church Stretton in the late 60s early 70s. My family have one of his brass name plates as a memento. 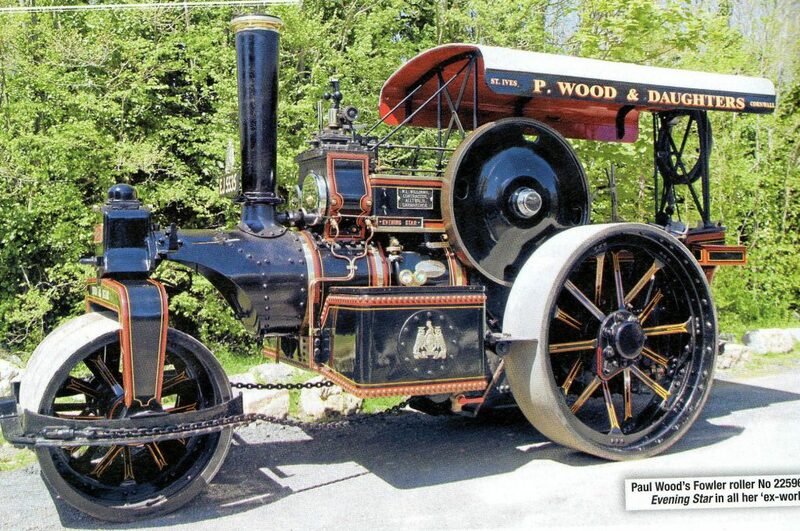 I will speak to my father to try and glean any further information regarding this engine and Wilfreds working life. Wilfred used the roller to make and surface roads around Alltwalis and surrounding areas. He sold the roller to a David Webster from Ludlow . Wilfred and my father drove the roller to the early County of Salop steam engine rallies at Church Stretton in the late 60s and early 70s.